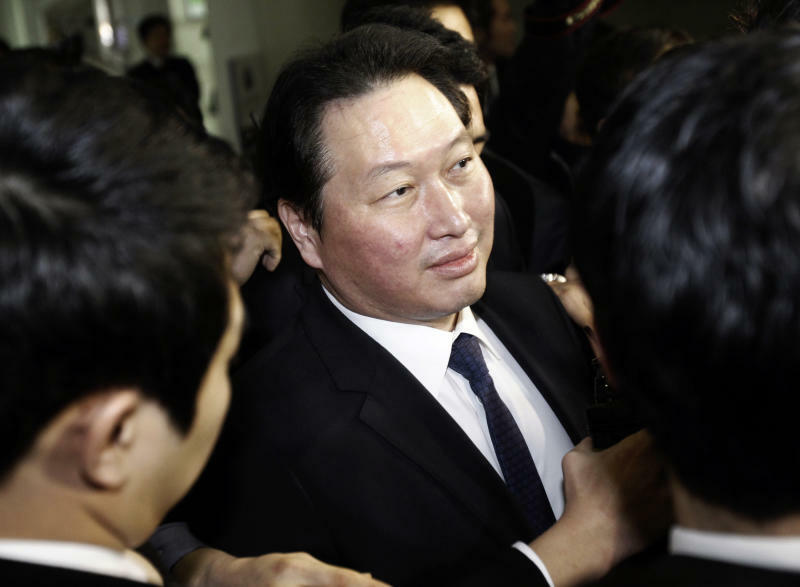 SEOUL, South Korea (AP) — A South Korean court sentenced the chairman of the country's third-biggest conglomerate to four years in prison on Thursday for embezzling millions of dollars of company money for personal investments. The ruling comes as South Koreans demand a tougher stance on crimes committed by bosses of chaebol as the family-controlled conglomerates that dominate South Korea's economy are known. Seoul Central District Court found Chey Tae-won guilty of embezzling 46.5 billion won ($42.7 million) from two companies within the SK Group conglomerate, which he invested in stock futures and options. Chey had denied the charge. SK Group said it was preparing an appeal. 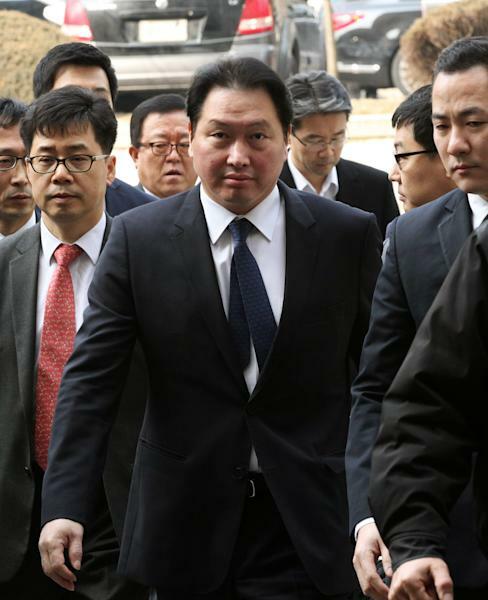 Chaebol bosses found guilty of crimes have received suspended prison terms and presidential pardons in the past and court rulings have emphasized their contributions to South Korea's economy. Some argued that prison sentences could damage the economy by depriving important companies of key decision makers. But such rulings have undermined public trust in the courts and spurred calls for equal treatment as perceptions grew that the conglomerates were over-mighty. President-elect Park Geun-hye who takes office Feb. 25 has vowed to toughen punishment of crimes by chaebol bosses. The Seoul court said Chey's case was a demonstration of how a chaebol boss can treat company assets as personal property. Chey used "the companies that he controls and exerts influence over as a criminal tool and used a massive amount of the companies' assets for a personal purpose," the court said. Chey became chairman of SK Group in 1998, succeeding his late father who inherited the group from his older brother, the founder. The conglomerate's businesses include telecommunications and energy. Chey resigned last month as chairman of SK Group. However, he became chairman of the holding company for the conglomerate, SK Holdings Co., and remained the most powerful executive.